Who doesn't like free? In our family we have a saying Free is always within budget. With Target and Walmart putting out those school supplies so early, its hard not to pass up those good deals. Let's face it those Target Dollar spots items are sometimes too cute to walk past. That's why I thought I'd share a few things today that are well within all of our budgets. Free is always within budget- right? 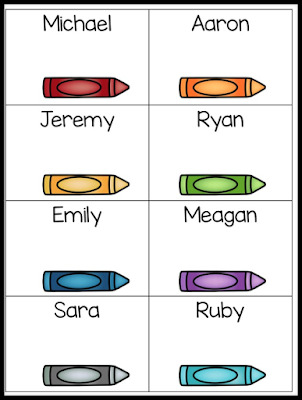 Do you need name tags for the first day of school? These name tags are easy to use. 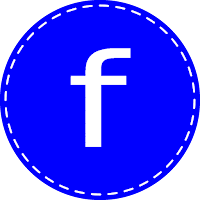 Just type your students' names, print and insert into the badge holder. 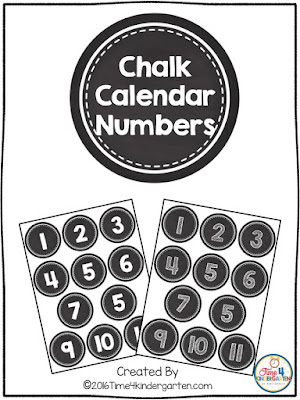 Next up is calendar numbers. 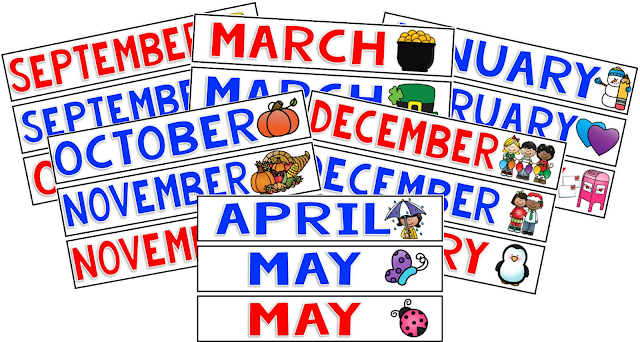 These can be used for more than just the calendar. Last year I made an extra set and used contact paper to adhere them to my floor to create a line-up strip. Print two sets to create a memory game. 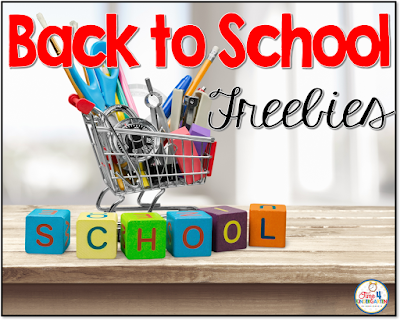 If you teach pre-school, Pre-K, TK or Kindergarten, this next Freebie is an absolute MUST HAVE!!!!!! We all know our little ones have accidents. It's even worse if they don't have a change of clothes on hand. I now send home a ziplock bag with the note for extra clothes ready to go. I then keep the clothes in a tall laundry basket from Target. I bought it during back-to-school time when all the dorm room stuff came out. It fits perfect in my hallway and it holds all the clothes. The kids, office staff and yard supervisors all know where it is, in case I'm not there. This next freebie. 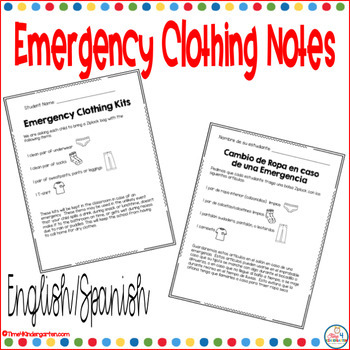 is similar to an emergency card, but I keep it in the classroom. 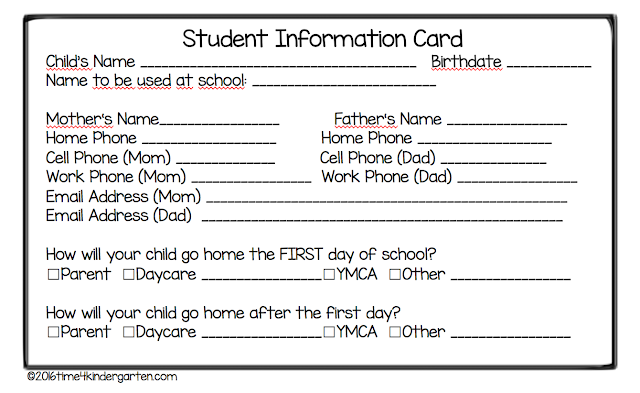 We hand these out at Kindergarten orientation. This gives some quick and very important information about a child that so often parents just forget to tell us. For example, the name on their Birth certificate may be Michael Ryan Smith; however, the child has never been called Michael and doesn’t even know that Michael is his real first name. 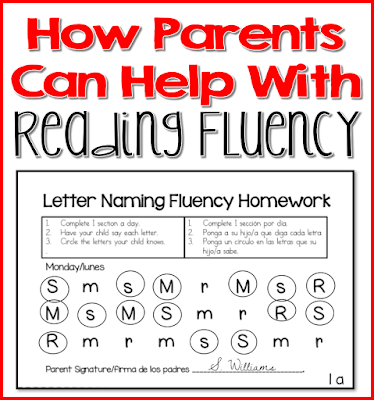 This is something that the teacher needs to know from day one. You could be sitting there playing guess who this child is. Believe me I’ve been there, it isn’t fun. I know some of you are still in planning mode or organizing so here are some labels to use on your center tubs, I used the red for Language Arts and the blue for Math.. I printed on cardstock, laminated and then used double sided tape to adhere. Starting out each year I begin with my six simple rules from Whole Brain Teaching. If you haven't read the book- you should. 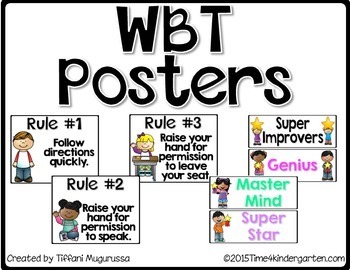 and you can download my FREE WBT poster too. 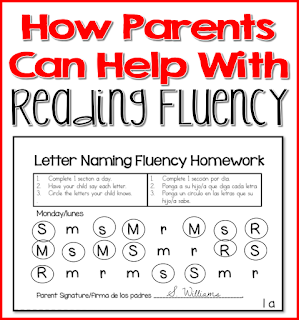 Last is my Letter Naming Fluency Freebie- if you are new to my site I encourage you to sign up for my email list and you can try out several weeks of my Letter Naming Fluency pack for FREE. I am flying down Saturday morning to Anaheim for the week for the Teachers Pay Teachers Conference. I hope to learn lots of great things, meet new people connect with old friends and most of all have a wonderful time. 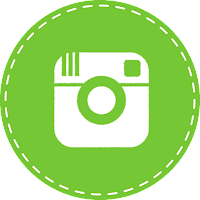 You can follow my shenanigans- on IG and FB.